The Catholic Convert and Qualification Rolls were recently released on-line. The society portrayed in these records is much more diverse than was previously supposed. It’s also more pluralist, if we compare the Convert Rolls with the surviving RC parish records on-line. The procedure for conversion was to renounce Catholicism in front of an open established church service. The convert received a certificate from his or her bishop, which had to be enrolled in Chancery. In 1922 the original Catholic Convert rolls were destroyed in the Four Courts, and only a calendar survives. The Qualification Rolls date from 1774, when the first of the many Catholic Relief Acts was passed. Catholics and Dissenters could appear before a court of law and swear their allegiance to the king, after which they were supposedly ‘qualified’ to resume civil rights, including the right to hold public office and to hold 999-year leases, etc. There are 52,060 names in the two sets of records, although there is some overlap. The records include the names of businessmen and women (c. 1,500), of whom the greater number are recorded not by marital status but by occupation. Social coverage sometimes extends beyond the affluent middle. On 4 May 1784 we find evidence of Margaret Field, ‘starch-manufacturer, Church Street, City of Dublin’, taking the oath of allegiance in the court of King’s Bench, while on 19 December 1784 Judith Fitzsimons, ‘dairy-woman, in the city of Dublin’ gave her oath in the court of Common Pleas (Catholic Qualification Rolls). But in general those named in these records are the urban and rural middle classes and gentlemen ‘esquires’, those who owned assets: substantial farmers in the countryside; merchants, manufacturers and professionals in the towns and cities; religious and political refugees from overseas. In the Convert Rolls we find US President Obama’s ancestor, Michael Kearney of Dublin, who on 27 April 1734 enrolled his certificate of conversion. Previously, in 1719, Kearney was admitted a Freeman of Dublin City by ‘special grace’, and in 1726 he was elected master of the guild of barber-surgeons. During his election campaign, Kearney’s political opponents pilloried him as ‘fired with ambition’. They could probably have gained more traction if they had instead attacked him for not having formally converted to the Established Church. 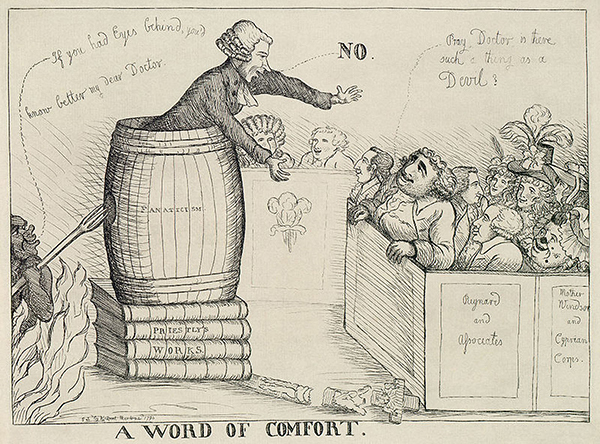 Above: ‘A word of comfort—No’, a commentary on the efforts of Charles James Fox to obtain the repeal of the Test and Corporation Acts, under which Catholics and Dissenters were excluded from office. The surviving records are often opaque: the information given is limited to the person’s name, address, occupation or status, date of conversion or qualification, the date of enrolment or court hearing, and the court before which the person appeared (local diocesan court or assizes, King’s Bench or Common Pleas). Family relations are often not defined in the records, although circumstantial evidence can hint at connections. On 20 March 1703 Innocent Babe of Darver, Co. Louth, received her certificate of ‘conversion’ from Armagh diocesan court. A year later, on 15 May 1704, James Babe, also of Darver, possibly a husband or brother, enrolled his certificate of conversion in Chancery. From 1703 to 1845 the Catholic Convert Rolls were also used to achieve naturalisation of aliens settling in Ireland from outside British dominions. In March 1736 James and Arthur D’Anverse of Youghal ‘converted’. The brothers were part of a small but highly visible community of Huguenot refugees that settled in Cork and Waterford. In December 1764 we find a Jane Bijaar of Dublin registered as a convert; her name suggests that she may have been of Anglo-Indian extraction. Even after the introduction of the Qualification Oath in 1774, the government continued to use the Convert Rolls to achieve naturalisation. 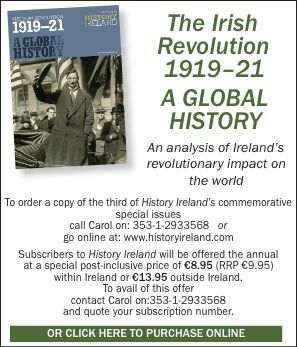 The use of the Convert Rolls for naturalisation only reinforces the fact that the native Catholic Irish remained aliens in their own country; without conversion they were simply not part of the political nation.